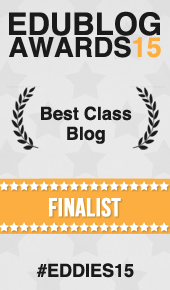 Problem Solving Strategies – Mrs Baldwin's Class Blog! 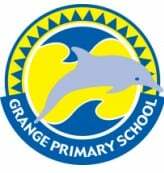 This year we will be practicing how to solve many different types of maths problems. 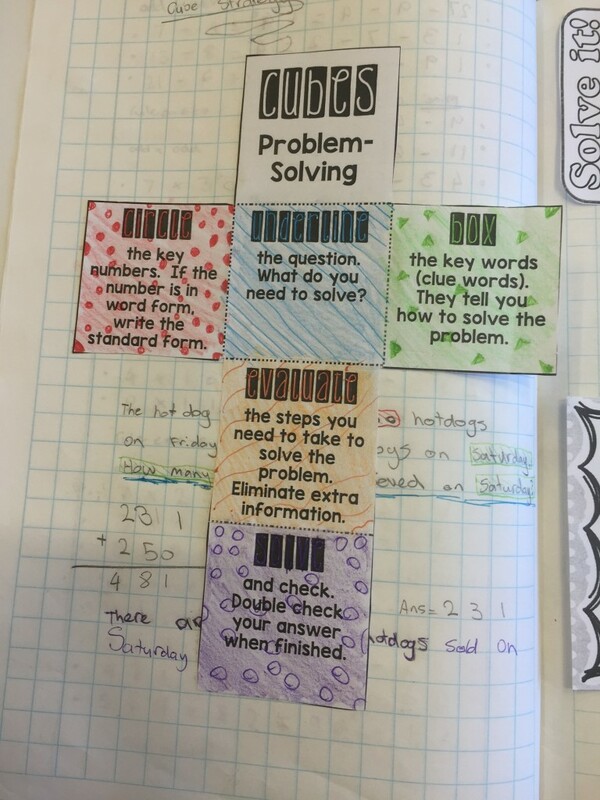 Reading and understanding maths worded problems can be quite a challenge for many of us, so we have started to look at some strategies that can helps us work out how to solve these problems. Check out this video with demonstrates clearly how to use this strategy. We used a cube template and colour coded each letter so that when we solve worded problems we can use each colour as a key to remembering each step to take to solve complicated worded problems. 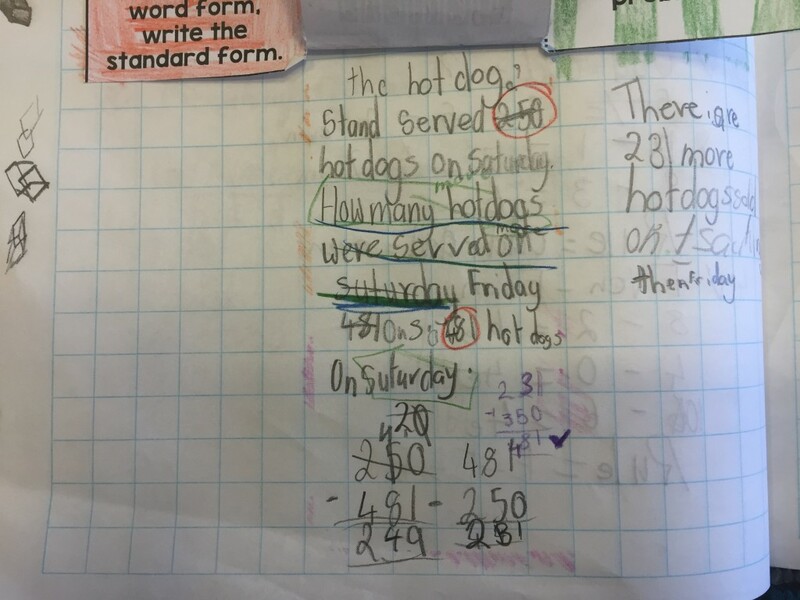 Mrs Baldwin also discussed with us how we should write our final answer in a sentence because the question was written as a word problem. Check out some of our work here! 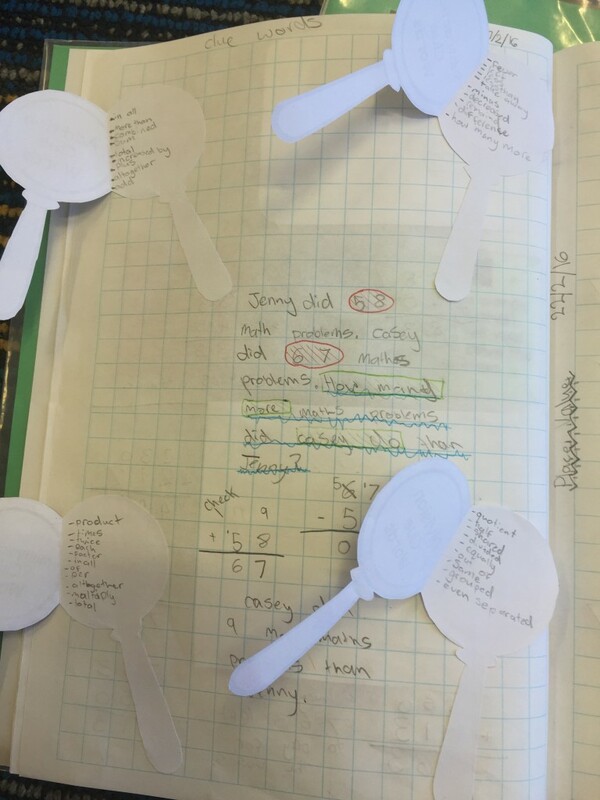 We created some magnifying glasses in our books for all 4 operations. We then wrote a list of words that we would see written in a worded problem for each operation. 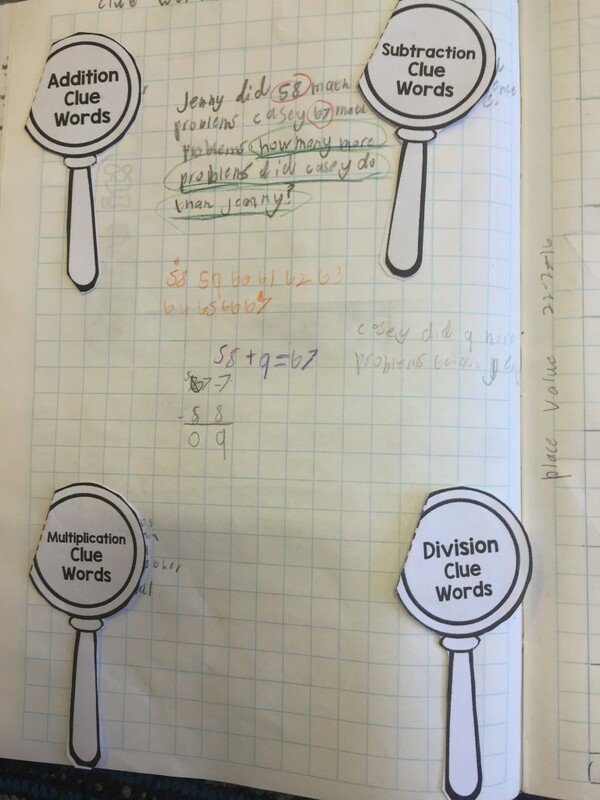 To finish the lesson we then used the cube strategy and the clue words to practice solving some worded problems. 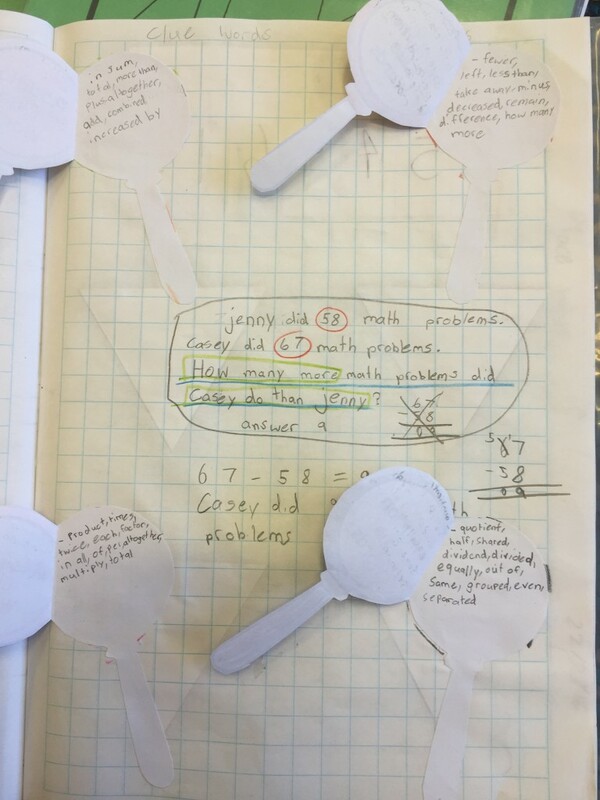 During our weekly Math’s Rotations on Thursday every group will be given an opportunity to solve a worded problem and using these clues will help us to recognize what we need to do to calculate the answer. 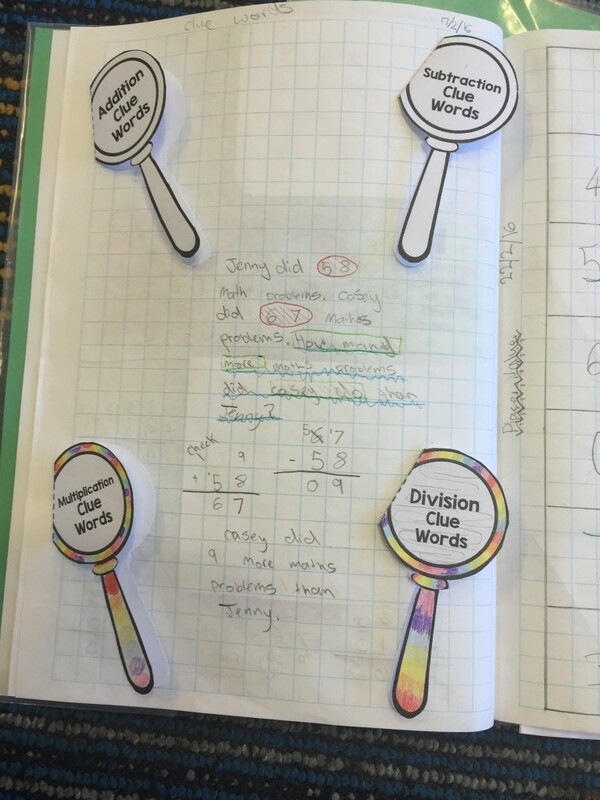 What do you find challenging when solving a worded math problem? 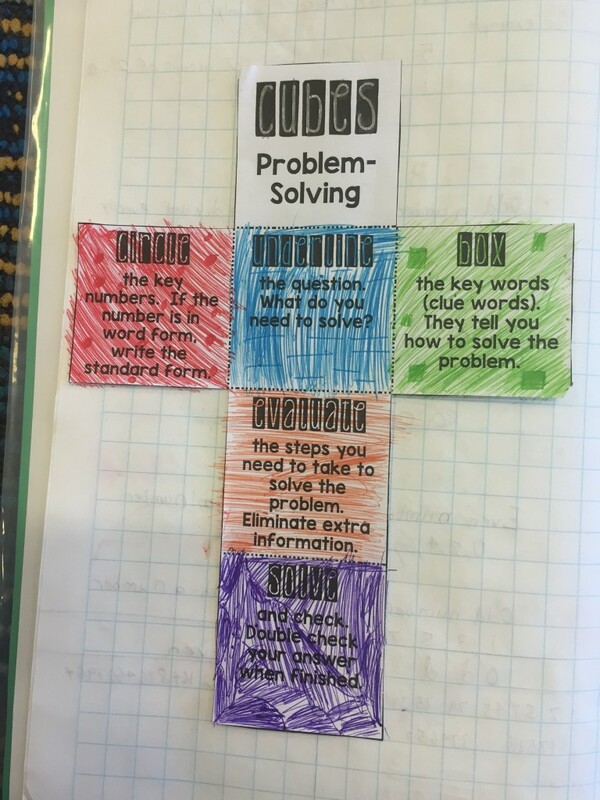 How does the CUBES strategy and clue words help you with solving problems? Do you have another strategy that you use to solve these problems? it helps me because i can understand the q ,no. I think that the solving is the hardest part of the problem because you don’t always know how to solve it. 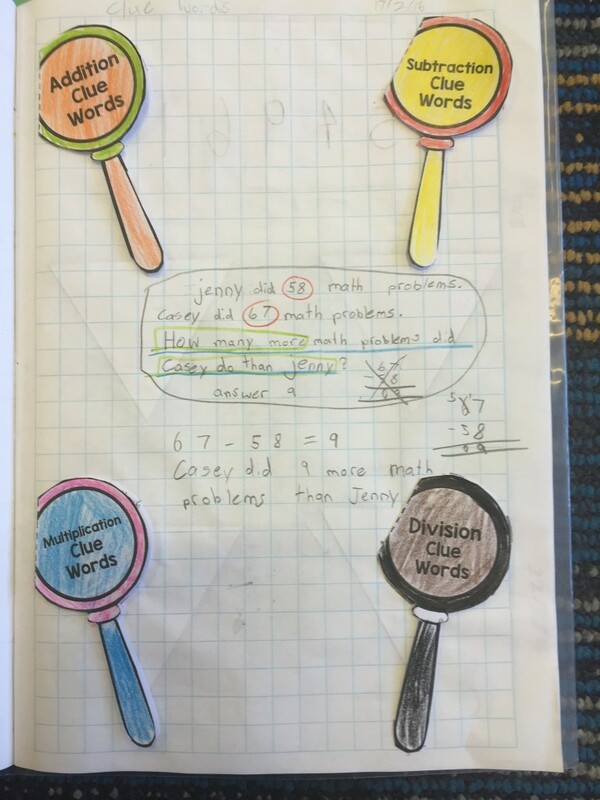 It helps me because then I know what order to do it in . Yes I do I use chunking because that sometimes helps me solve the problem. Do you have another strategy that you use. 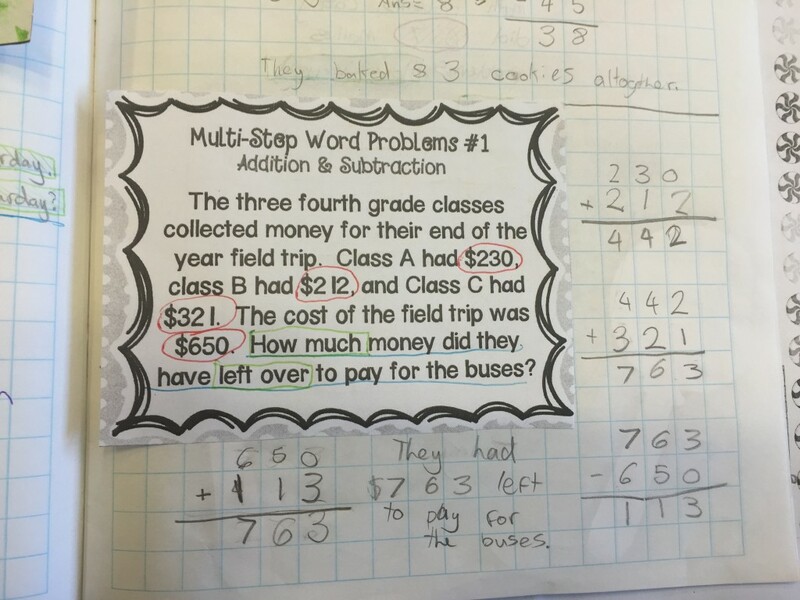 I find word problems pretty easy so I don’t have anything to say about worded problems. I think the cubes & clue words help me because it makes it easier to figure the problem out. I find it challenging to remember to write the answer in words because I find it hard to write in words in math. 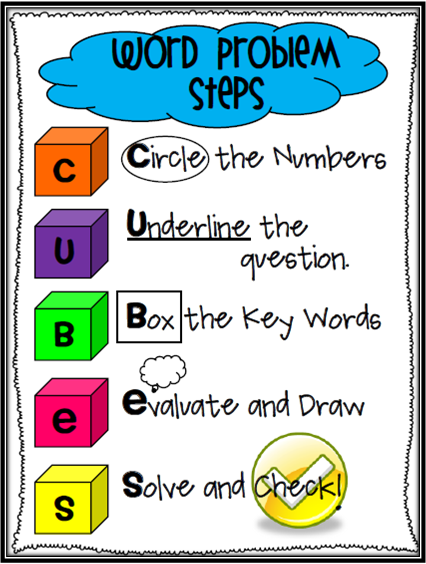 The cube strategy helps me a lot because it reminds me of the steps of what to do in a math problem. 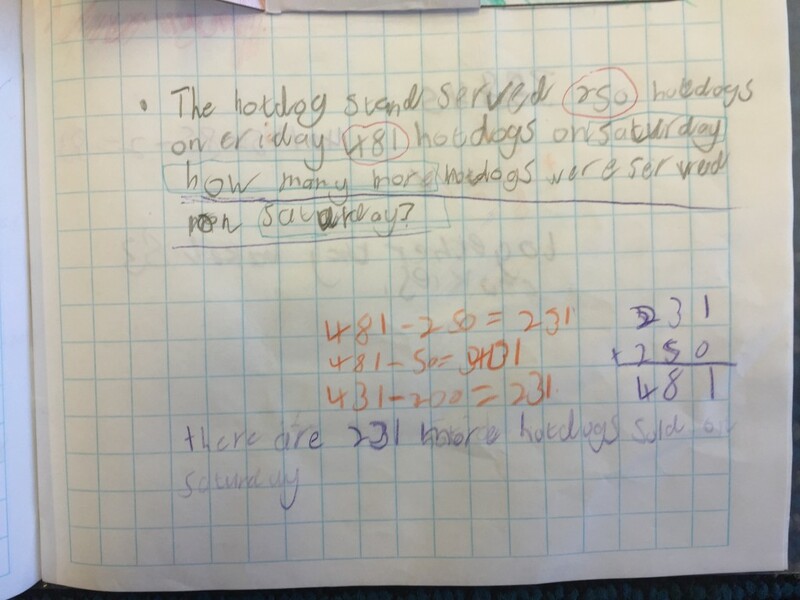 I do not have another strategy but I do work my way through these tough and complicated worded maths problems. I found it hard to pick which strategy to use. It makes it easier for me. The chunking strategy. I like the chunking strategy because it challenges you. 1. Well I find it hard to cunculate it but now i find it a little easier. 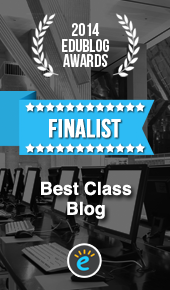 2. it helps me really well with knowing witch won do yous. 3. i also like using number lines.